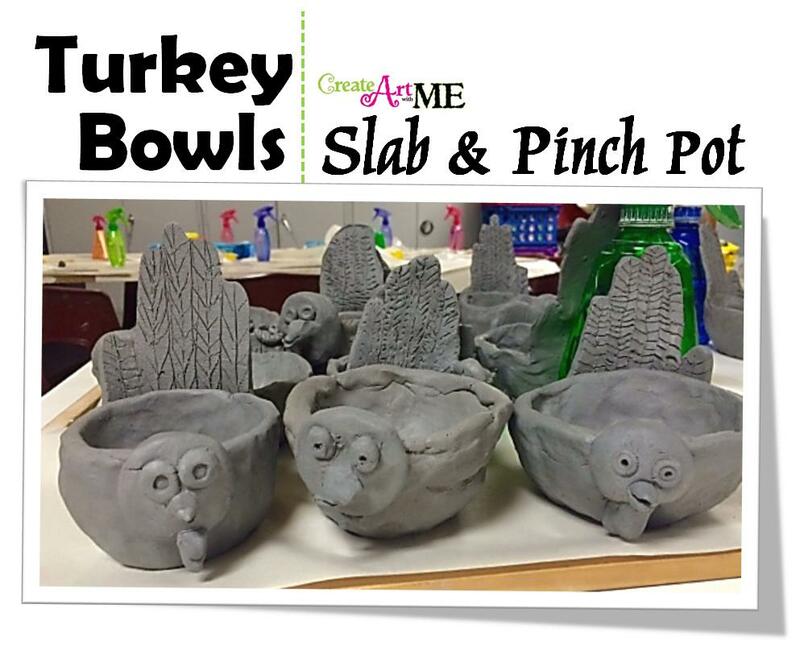 Ceramic Turkey and Hand-print Pinch Pot Lesson is a clay art lesson that is targeted to elementary (2nd-5th grade) and teaches both slab & pinch pot techniques. You could adapted this to slightly older students by adding more detail & feathers to the turkey (6th+). 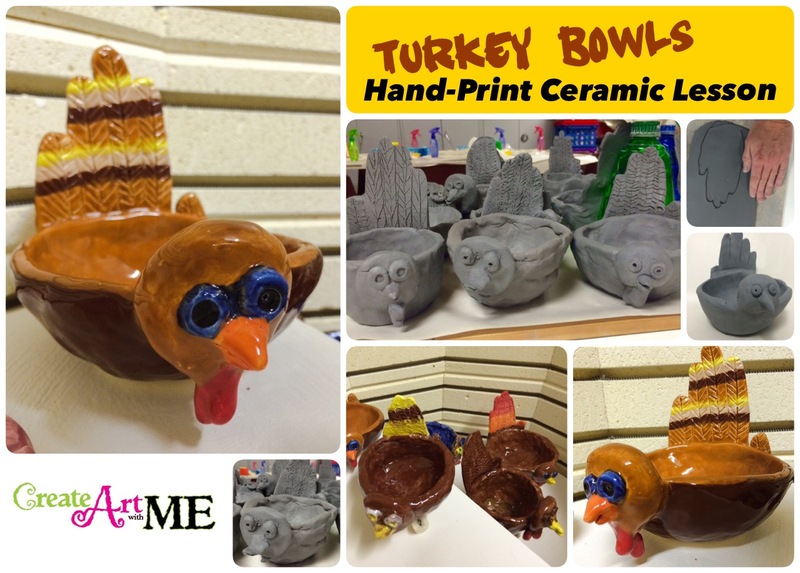 I wanted a fun & positive fall themed clay project that the children could use through the fall season. 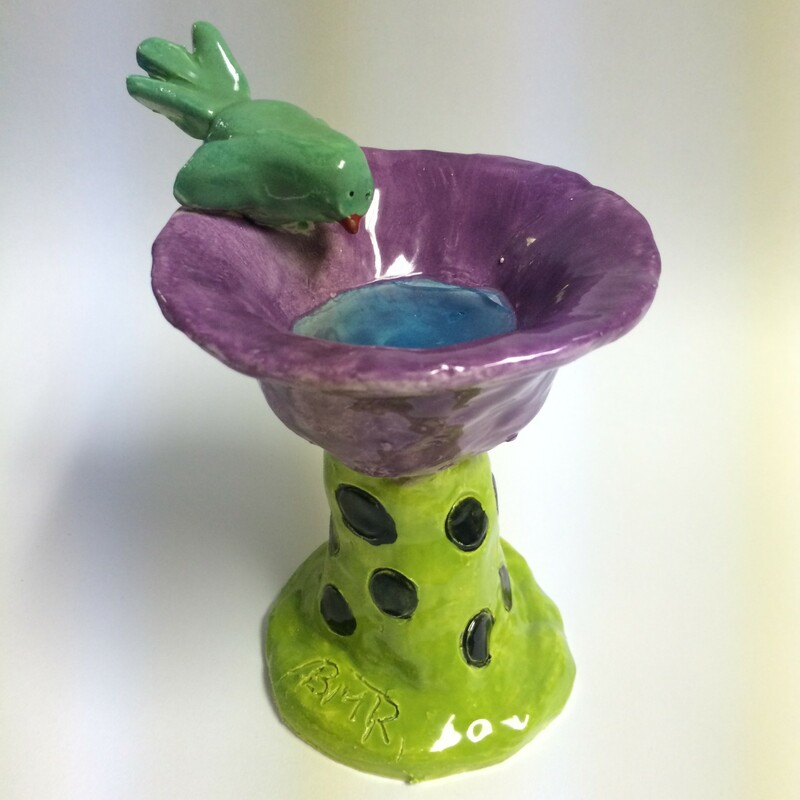 We created this project successfully in my After School Art Class that has Kinder-5th graders enrolled (young children needed lots of help with the pinch pot and attaching the handprint). 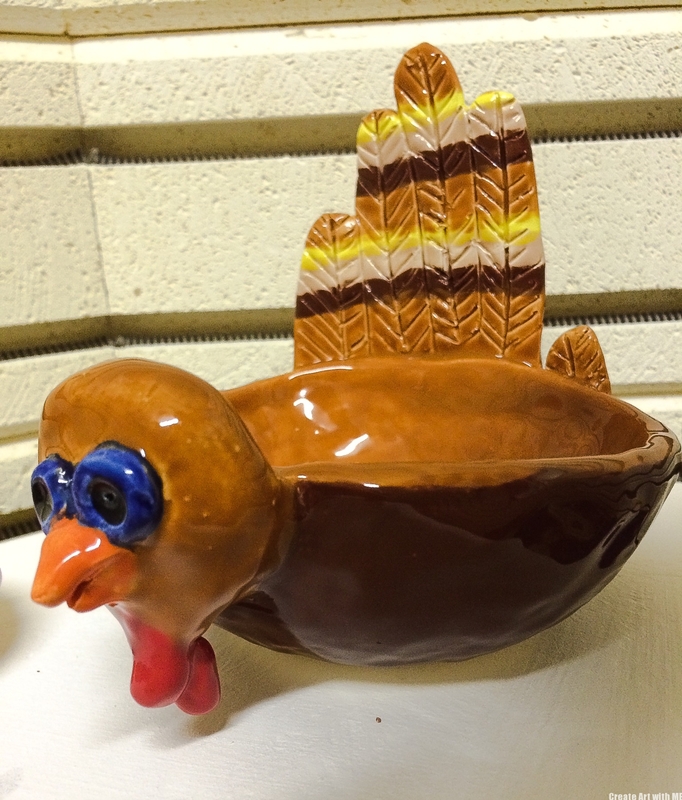 More pictures of the GLAZED turkeys at the bottom of the post! Slab: Creating a ceramic form by hand-building walls using flat rolled-out pieces of clay. 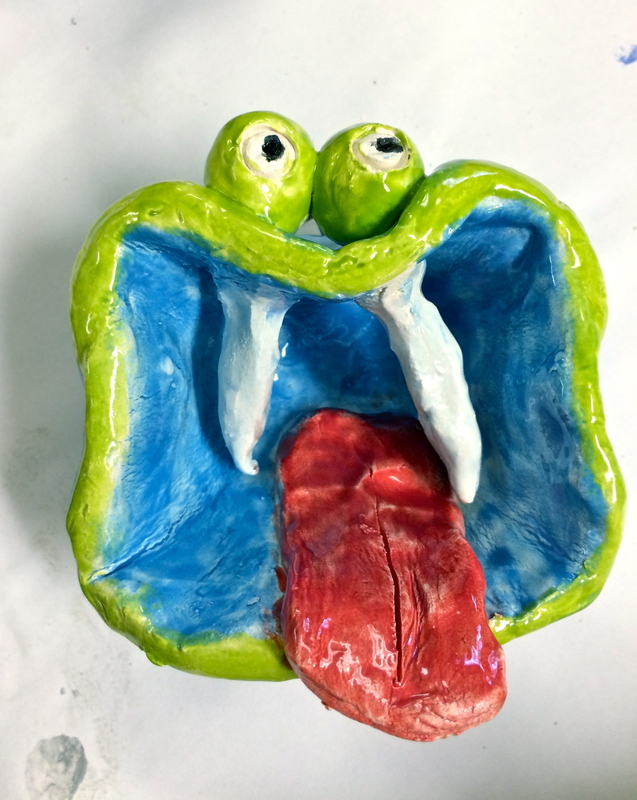 Give each student a slab of clay. KEEPING FINGERS TOGETHER, trace around the outline of the hand (don’t go in between the fingers!!). Remove extra clay from around the hand-print. Dip finger in water and smooth out all the edges. Using a needle tool. LIGHTLY draw in wear the finger lines would be. Do NOT go all the way through the clay. In each finger LIGHTLY draw in feather lines. 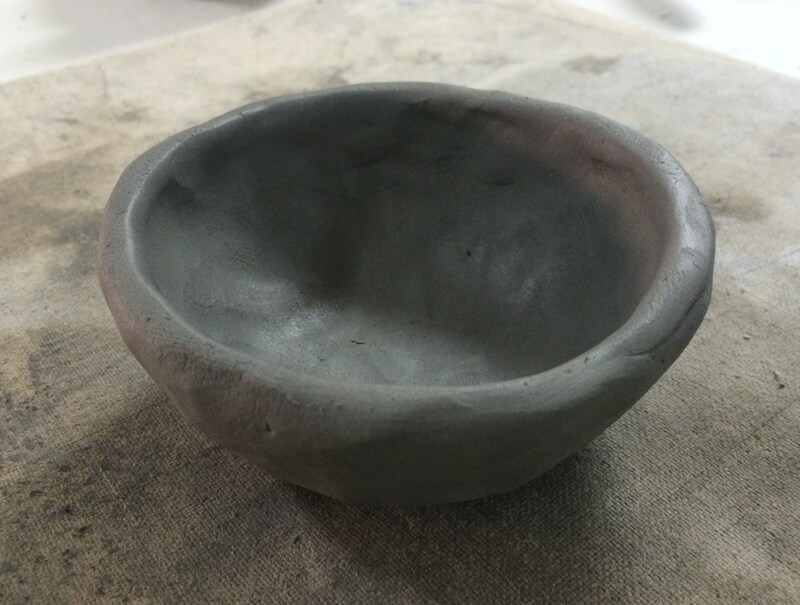 Set aside to stiffen while you work on the bowl & head. If you are doing this in 2 class periods, then put this away until the next class. 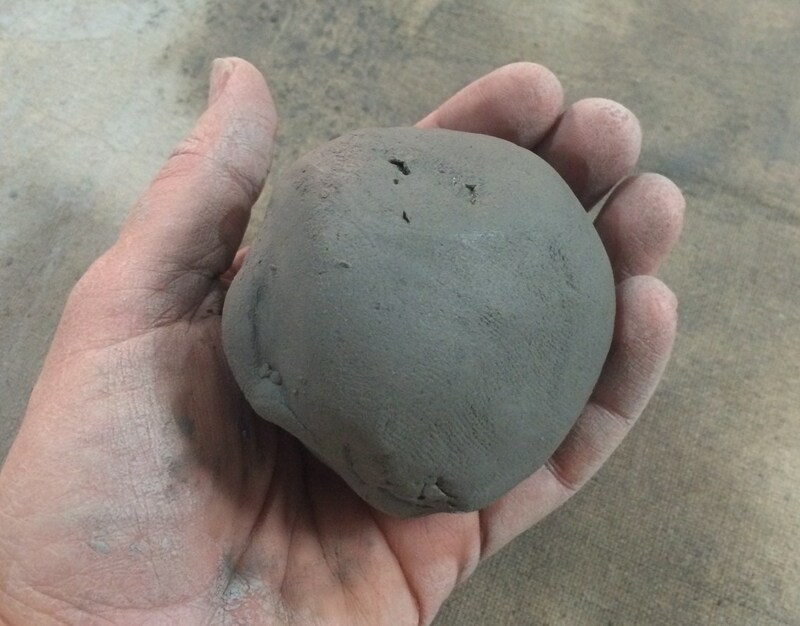 Give each student a ball of clay about 2” in diameter. 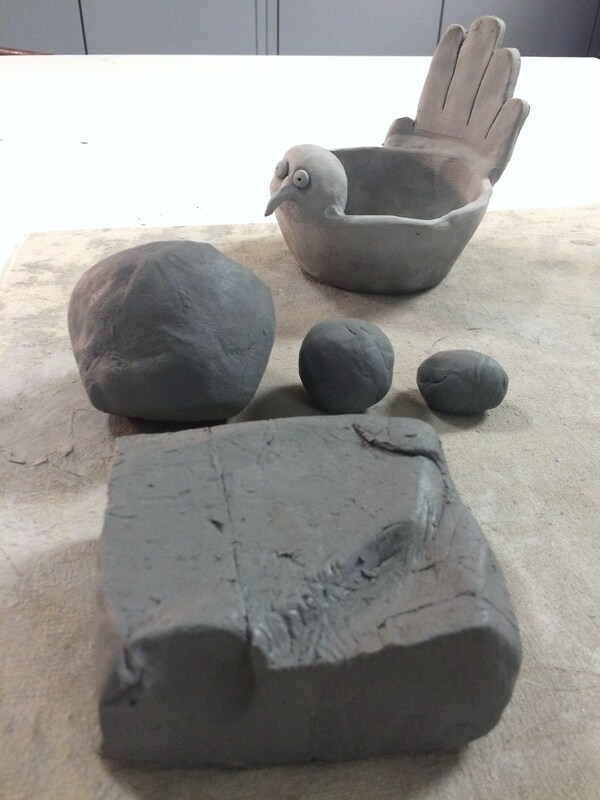 Roll the moist clay ball in your hands to form a ball. Dip you thumb in water and stick it into the middle of the ball about 1/2 way down. 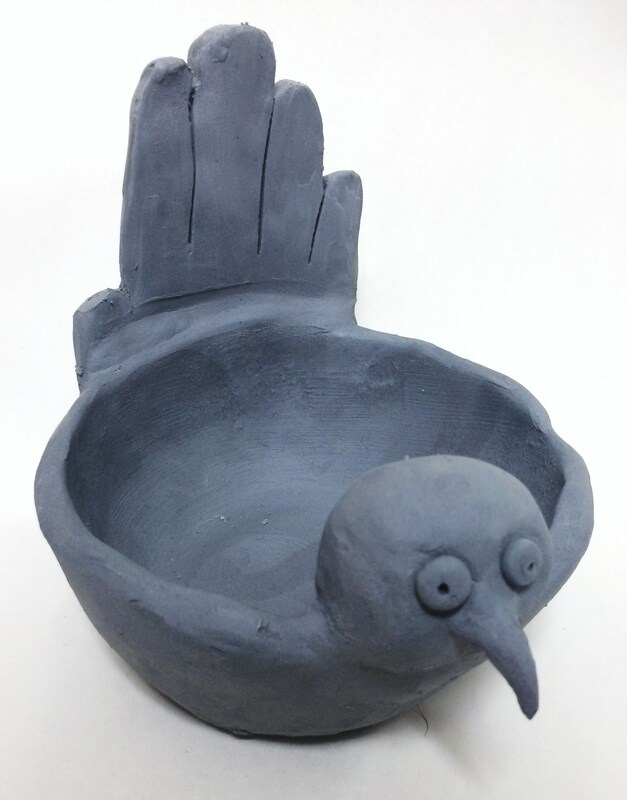 Hold the clay ball with your left hand if you are right-handed or with your right hand if you are left-handed. If you start to get elephant skin (small crack or splits in the clay), the dip your finger in water then rub your finger back & forth over the crack until it is smoothed out. Continue to pinch and turn until your ball looks more like a pot. Once the walls of the pot are an even thickness, (approx. the thickness of your pinky finger) shape the bottom of your pot by gently tapping it on your desktop to form a flat surface. Give each student a small ball- about the diameter of a quarter or slightly larger. Roll the eyes into small balls and form the beak (like a triangle). The wattle is 2 tear drop shapes attached under the chin. You may need to trim off the bottom of the hand-print before attaching it to the bow. 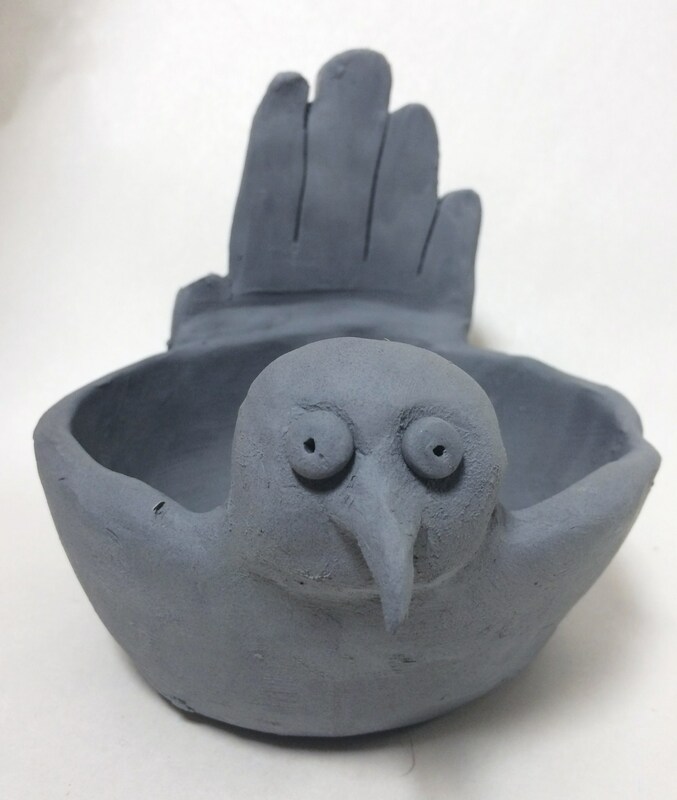 Use the Score & Slip Technique to attach the hand-print on the back of the bowl and then add the turkey head, eyes, beak & snood on the other side of the bowl. You may also need to prop up the feathers to keep them upright as they dry. Great lesson! Thank you. 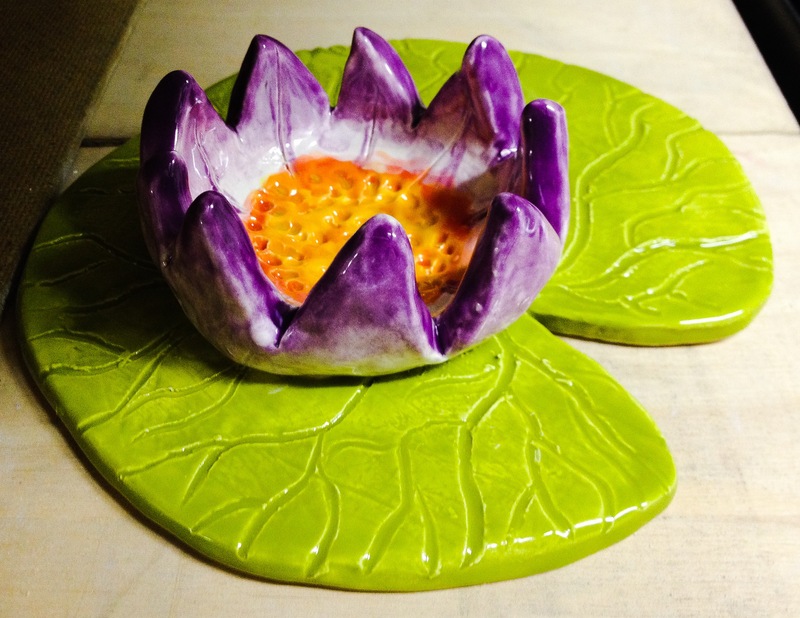 I am going to try this this week with my elementary Ceramics students. They were asking if we could make Turkeys and this lesson is so cute. These are absolutely adorable! 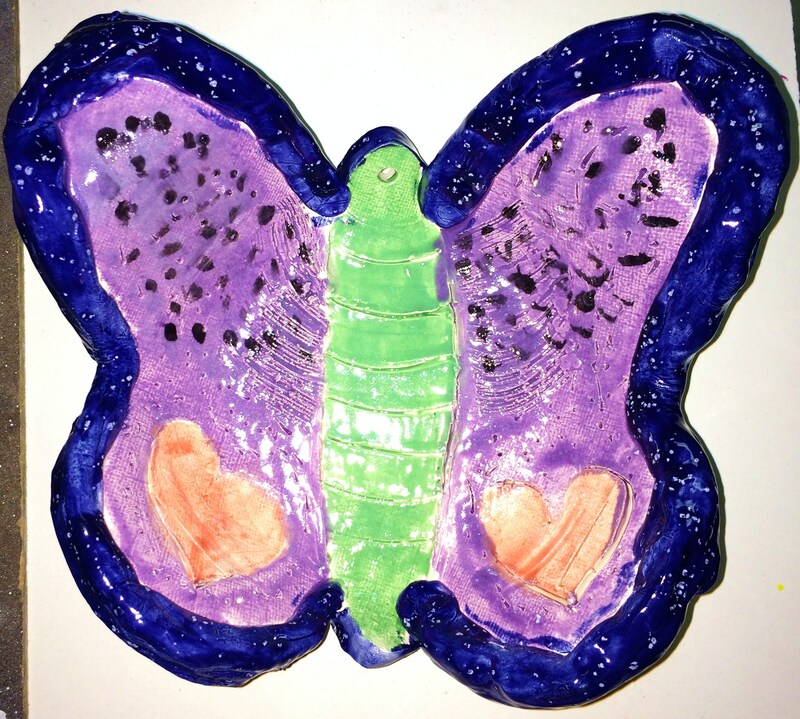 After 14 years in elementary ed, I am a first year art teacher and follow you faithfully! I’m wondering if you have any ideas on how to make the principles of design definitions more kid-friendly. I’m having a tough time explaining what I mean by balance, composition, etc. (Yes, I realize composition isn’t a principle, but still a tough one for my littles to understand).